Pliers…as a household tool, they’re kind of boring. They’re just two pieces of metal that pivot and help you reach the little piece of bone stuck in the garbage disposal. But somehow, David Warther, son of master carver Ernest “Mooney” Warther, makes them completely fascinating. 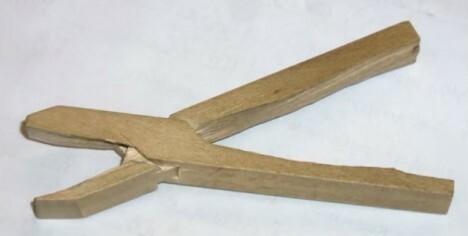 Warther carves tiny functional sets of pliers out of single pieces of linden wood using just ten cuts with a pocket knife. He’s been doing it all his life, which accounts for his ability to accomplish this crazy piece of awesomeness in less than a minute. The master carver uses his soothing voice, quick hands and impressive technique to demonstrate exactly how the famous pliers are shaped. 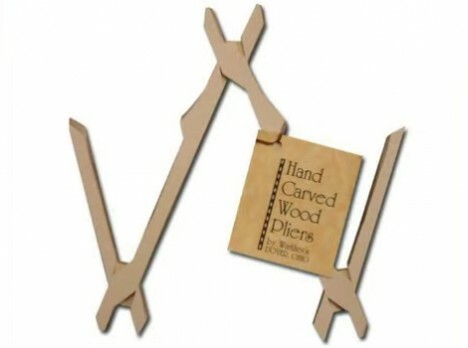 It’s a pretty amazing transformation from a stick of wood to a functional pair of pliers in about half the time it would take us to even find a pair of regular pliers.